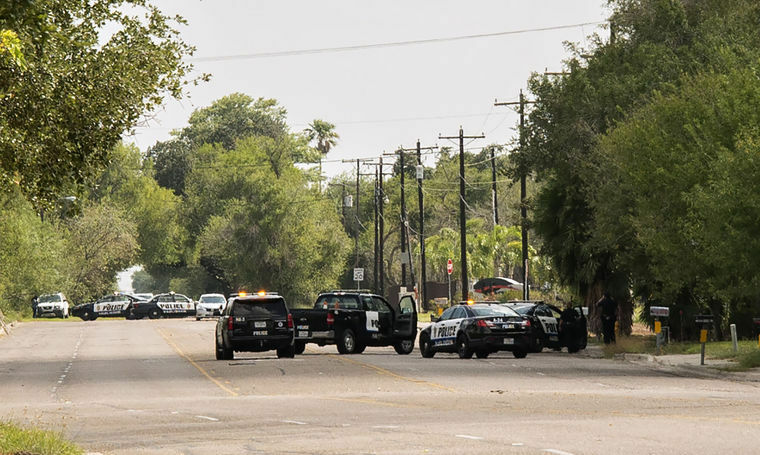 Harlingen Police closed off streets yesterday on the 900 block of South Palm Court Drive for several hours as an elderly man known to have weapons made threats against EMS and police. HARLINGEN — Police remained outside of an elderly man’s home yesterday for several hours after he made threats to first responders and police. At around noon yesterday, an elderly man’s family called EMS personnel. However, the man refused medical attention and according to EMS personnel, he threatened to shoot incoming EMS responders as well as any police officers who responded. The man’s name has not been released by police. According to police it was known at the time the man had access to weapons. Police said he was in the house and had made some threats as police worked to resolve the situation. Streets were closed off in the 900 block of South Palm Court Drive. Police also set up in the parking lot in the retail area near FiveBelow. However it took a few hours before police could coax the man out of his home. The Harlingen Police Department SWAT team, negotiators, and other personnel also responded. This all occurred in a house across the street from an apartment complex on South Palm Court Drive. Contact was eventually made with the man at around 3:40 p.m. and he was safely removed from the residence. The man’s wife had left the residence a couple hours earlier, while police were still talking with the man. Parish said no injuries occurred from the situation. According to police, no criminal charges have been filed at this time pending feedback on the evaluation.